Marsh was originally selected by Collingwood with pick No. 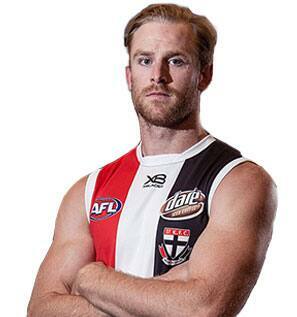 77 in the 2013 National Draft, before being picked up by St Kilda as a pre-season supplemental selection just prior to the 2018 trade deadline. The young defender lined up for the Magpies for 15 games across three seasons, before stepping away from the game at the end of 2016 to focus on his mental health. After two years playing for East Fremantle in the WAFL, Marsh returned to Melbourne to reignite his dream of getting back on an AFL list. Injuries sustained to Saints Jake Carlisle and Oscar Clavarino in the pre-season have since opened the door for Marsh to make his return to AFL level, with Jack Bytel placed on the long-term injury list to make way for the 23-year-old recruit. At 193cm and boasting notable defensive attributes, the forward-turned-defender will play a key role in bolstering St Kilda's defensive stocks heading into the new season.